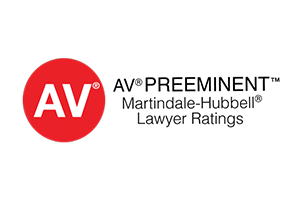 See what some of our clients have said over the years based on the results and care Devon Reiff P.C. has devoted to their case. Devon Reiff stood by us through thick and thin against the insurance company, working tirelessly and never forgetting how important our case was to us. Besides his astute lawyerly skills and superb knowledge of the legal system, Devon takes genuine interest and satisfaction in his client’s personal well-being, something that makes all the difference. Devon Reiff is extremely knowledgeable about his craft and is backed by an exceptionally trained staff. I know these things first hand because Devon Reiff was in my corner and the results were stellar. p.s. If you need someone to run with the big dogs, Devon Reiff is your man. 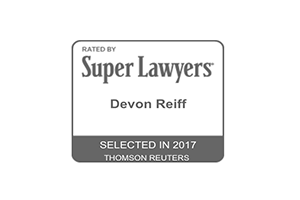 I will always feel grateful to Devon Reiff, who provided me with both emotional support and outstanding Negligence & Personal Injury legal services after my devastating car accident. 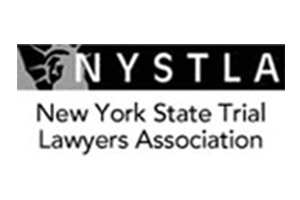 I believe that his dedication, thoroughness, and professional skills (which include exceptional judgment and attention to detail, and legal expertise enhanced by many years of experience), along with his excellent network of ancillary resources, were instrumental in garnering a settlement that was significantly larger than I had expected; one that has enabled me to move forward feeling more hopeful and confident – and less anxious – about my future! Devon also helps with financial advice so you don’t blow all your money stupidly. I have had Mr. Devon Reiff as my attorney for many years. He has proven to be very dedicated, and the most trustworthy lawyer. He has given it his all while on my case, going up against one of the most powerful unions in N.Y.C., all the while, he made it possible for my family and I to have a comfortable life. 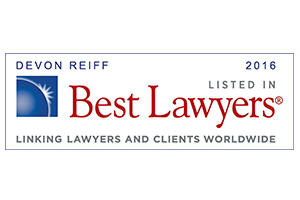 Along with Mr.Reiff and his wonderful staff I can assure you that his firm will give you 110% because he goes beyond the call of duty, time and time again. Devon has saved me countless times when I didn’t know who to trust. I can’t say how important it is when you have sustained an injury and you need someone who will do the right thing. I can sleep comfortable because of Mr. Devon Reiff. It’s been twenty years and after handling my two cases I can truly call him a true, sincere friend.